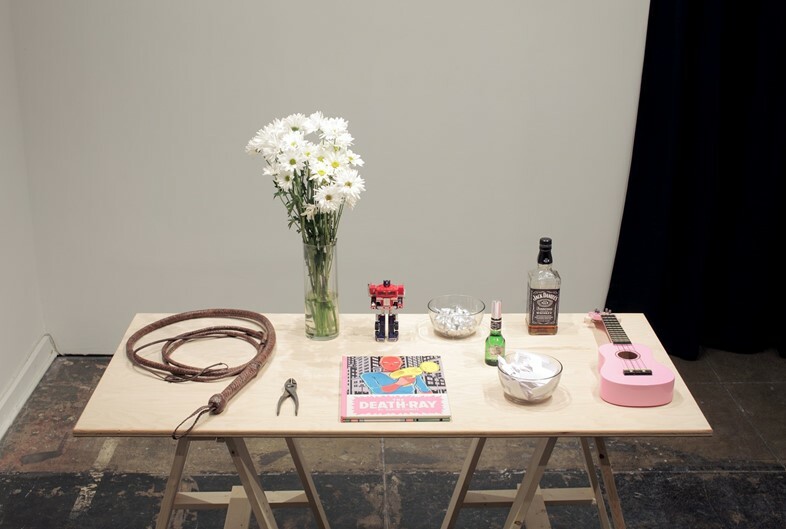 According to the duo, LaBeouf approached them after encountering Turner's website on metamodernism, which Turner describes as "an age characterised by oscillations between modernist and postmodernist values". As he puts it, it's the defining impulse of our age: a desire to be "both ironic and sincere in the same moment". #IAMSORRY, the final product of their collaboration, didn't just take place at the Los Angeles gallery – it also played out on LaBeouf's Twitter; in Berlin; at a London College of Fashion seminar, where he read Guy Debord to students; and even via skywriting. It all culminated with LaBeouf sobbing his eyes out in front of strangers. In short, it's a multi-platform meditation on celebrity and vulnerability, and it probably couldn't have happened at any other time but the present. 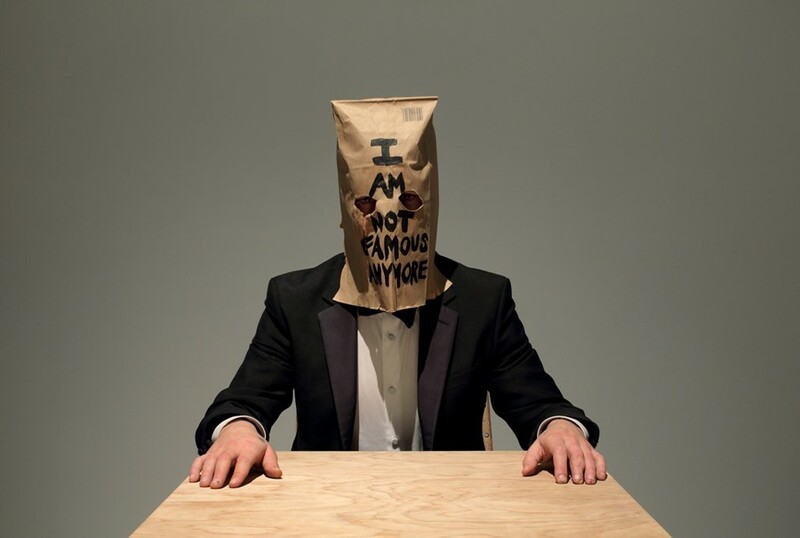 Turner and Rönkkö speak exclusively to Dazed about the tabloid-fuelled media circus around LaBeouf – and why they intend to keep on working with him. DD: What were your intentions behind #IAMSORRY? 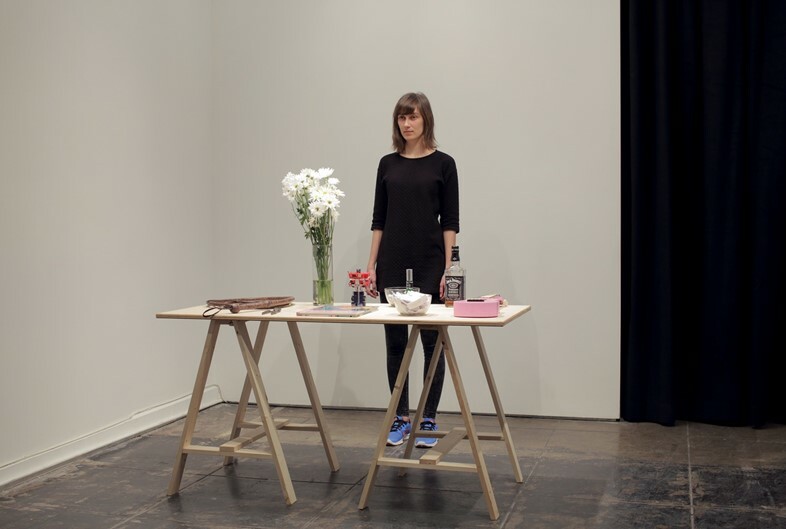 Nastja Rönkkö: At its core, the most fascinating part of the performance was whether people would see Shia as a person, flesh and bones and soul, or as an object, a celebrity. I also find it quite revealing that whereas in the past everyone wanted to become celebrities, today everyone wants to be an artist. For me, this opens up questions of whether our value systems are moving towards something more meaningful. From where does this kind of yearning come? Is this the moment in history when our interests are diverted away from the emptiness of reality TV and fame for the sake of it? This is why this performance also embodies what I understand to be metamodern: a need for sincerity and affect. Where is our culture going if people are interested in seeking the self and the real through art? For me, #IAMSORRY taps into all of this. DD: Did #IAMSORRY come about as a response to the accusations of LaBeouf plagiarising Daniel Clowes, or was that incident part of this whole project? Luke Turner: I think Shia made a genuine mistake during the process of trying to find his directorial feet, though the fact that his short film was nonetheless an earnest creative endeavour seems to have been lost somewhat. In his own words, he 'fucked up'. I can’t condone his failure to accredit Clowes’ work, since in my view what he did was indeed plagiarism – passing off another’s work as one’s own – which I believe is wrong. However, I think he realised he had crossed a line here, and has undoubtedly regretted it deeply ever since. Shia’s actions and the ensuing controversy have nevertheless brought to the fore some extremely complex questions regarding the nature of authorship and the free exchange of ideas in the information age. The subsequent appropriations (the tweeted apologies, the Cantona quote, etc.) certainly do not constitute plagiarism in my eyes. As artists, it’s perfectly legitimate to appropriate the work of others in order to create something new. Why, exactly, should artists be free to appropriate from Hollywood, and not vice versa? In even asking this, isn’t one assuming the two to be mutually exclusive? It’s hard for anyone to answer such questions satisfactorily without sounding hypocritical, or granting one medium credibility or weight over another in a kind of hierarchy of worthiness. As I understand it, Shia has now formally made amends with Clowes, but his remorse is definitely still palpable. However, how he subsequently responded to the media backlash was, from an artistic perspective, certainly unexpected and highly original in itself. DD: Both of you have never done anything with a celebrity before. What was it that attracted you to working with LaBeouf? Luke Turner: It was compelling to have the opportunity to work with an actor – a method actor at that – whose character so many people believed they already knew. I’m interested in how the relatively reductive image of celebrity persona contrasts with an actor’s sense of self that is necessarily constantly in flux. Where might the truth of identity lie here, if anywhere? DD: Was the media frenzy around #IAMSORRY intended as part of the performance? Luke Turner: This undoubtedly became an important aspect to the performance. Shortly before the show opened, we released a single press release to a Time magazine journalist. Within minutes, the story was all over the web, yet it was a full half hour before we had our first visitor. This odd discrepancy between the online and offline worlds was fascinating to observe. Eventually, the show’s popularity snowballed, and by the end of the week we had a full media circus on our doorstep. The fact that the BuzzFeed offices were located directly across the street from the gallery was also rather serendipitous. DD: What was the most common response from visitors? Did any responses stand out in particular? Nastja Rönkkö: Humanity, empathy, understanding – but we also encountered some darker sides of human nature. Shia became something like a mirror, and people had to decide whether to meet him as a person or see him as an object, essentially. We had a 'no photography' policy, but the internet is full of selfies taken with a crying man. I think this reveals a lot about the society and times in which we live. Sometimes it felt more like a psychological experiment, a case study of human character, rather than a performance. DD: Both of you are recognised artists in your own right – were you worried about being associated with a Hollywood actor? Nastja Rönkkö: I thought the project would be challenging for all of us. But for me art is about taking risks, not getting too comfortable with your practice or thinking. I was not worried about being associated with Shia because I believe in him. It was essential for us to trust each other, and I would not have done this without trusting Shia and Luke. I think the three of us work together perfectly and complement each other’s ideas. Luke Turner: I had no qualms about working with Shia or how this might be perceived. Right from our very first meeting, I had been convinced of his commitment to his art and the trueness of his aim. The thought of how our collaboration would be viewed by those who already had their own tabloid agenda didn’t really cloud my judgment. The project is a little like a Rorschach test, in that people see in it what they each bring to the table. My own relation to the project was probably no different. The performance’s ambition, and the trust I had in my fellow artists, is something I believed in wholeheartedly from the outset. That the piece appeared to affect so many visitors so deeply, and that we were even able to alter the perceptions and prejudices of some of the most hardened journalists, is perhaps the most rewarding outcome of the whole project. DD: How do you feel now that #IAMSORRY has concluded? Has it been a success artistically? Nastja Rönkkö: I am very happy with it! Luke Turner: This is ultimately for others to judge, but we’ve all been quite touched by how the performance has been received by so many of its visitors, even those who didn’t get the opportunity to go inside. In that respect, we would certainly view the project as a success. DD: Do you intend to keep working with Shia? Nastja: Absolutely. This is something we view as a continually evolving artistic collaboration. Luke: The “#startcreating” skywriting message above Los Angeles felt like a beautiful and optimistic note to end this chapter on, and its sentiment is certainly one we’ll continue to live by. DD: So… Is Shia really very sorry? Luke Turner: Indeed he is. Sincerely sorry. That is perhaps the whole point.